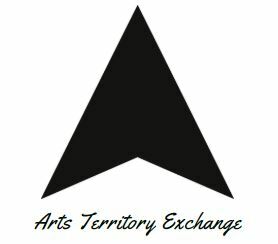 In 2019, I commenced two remote collaborations with artists via the Arts Territory Exchange Programme (aTE), which comprises a global network of artists and art practices which respond to the geography of their territory of production. The first of these is a project which extends an ongoing collaboration with Gareth Jones, artist/academic who is based in Osaka, Japan. In the second project, I am working with Kim Goldsmith, artist and media and marketing communications consultant, based in New South Wales, Australia. 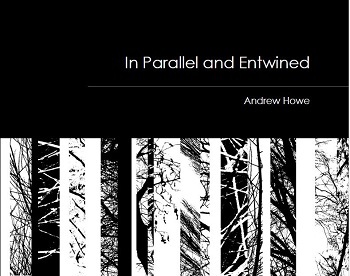 Both projects are yielding some exciting possibilities for art works over the coming months. Follow progress on my blog. Three of my Traces laser cut relief paintings from my In Parallel series are on show over the Summer at University Centre Shrewsbury, Frankwell. Three of my paintings inspired by a walk along the Rea Brook Valley in Shrewsbury were featured in this exhibition selected by guest curator Mel Evans and the team at Participate. Read more in my blog here. 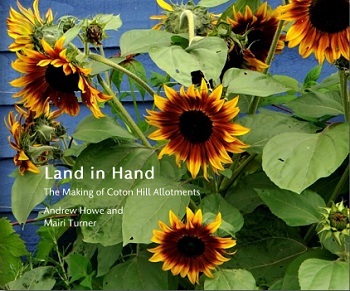 The exhibition ran from Tuesday 24th July – Saturday 11th August. I was delighted to give a short presentation about my walking projects and taking part in a round-table discussion at this one-day interdisciplinary event focused on walking research, practice and culture, organised by Dr Morag Rose. Some of my work was featured in this excellent exhibition and series of artist residencies and related events at Airspace from 15th June to 22nd July 2018. 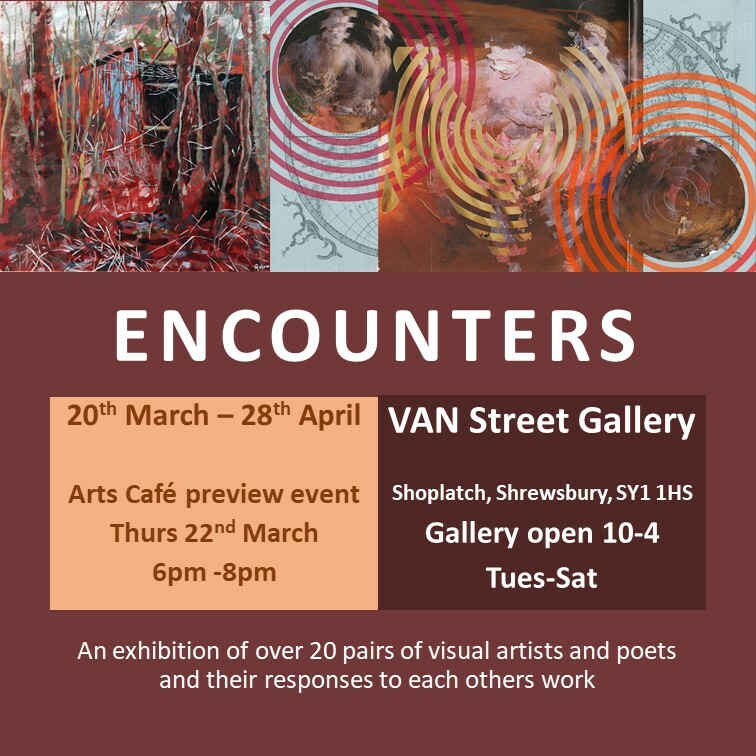 Six of my paintings and collages and two poems were on show in the Encounters exhibition at the VAN Gallery, Shoplatch in Shrewsbury from 20th March to 28th April 2018. 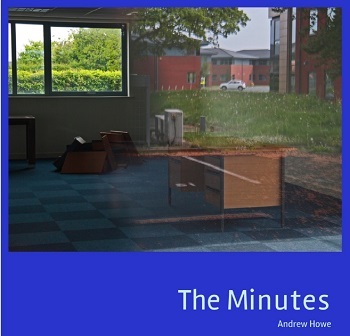 Available in paperback at £12 + p&p, see here for preview and purchase information. See here for further details or to purchase. See here for further details or here to purchase. 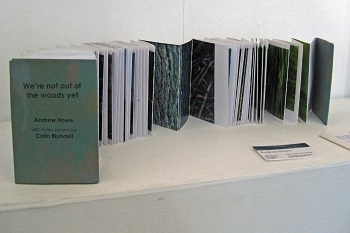 A few copies of this limited edition of 25 handmade books are available for £36 by contacting the artist directly.